Located: 3847 LaRue-Prospect Rd. (SR 203) Prospect, Oh. 43342 4 mi. N. of Prospect, 2½ mi. S.E. of Green Camp, conveniently located between SR 4 & 739. Longtime owner is selling due to health reasons. REAL ESTATE: Clean brick ranch home (1986 +/- sq. 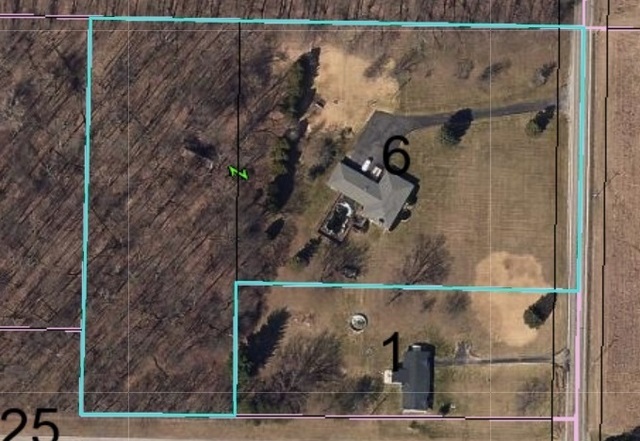 ft.) situated on 5.111+/- country acres with scenic rear woods view. Consisting of 10 rooms being 3-4 bedrooms, family room with fireplace, kitchen, utility room, living room, office/den, 2 full baths, mostly finished basement with 1674+/- sq. ft. with 1 bedroom, lg. open family/recreation room, kitchen area & fireplace, 2 storage rooms, baseboard elect. heat & water softner. Attached three stall garage, 32’ x 18’ inground swimming pool and separate walk in hot tub, privacy wood fence (as-is), 18’ x 12’ glass greenhouse (as-is), 28’ x 40’ rear wood shed with 18’ x 12’ lean to shed, large yard with partial woods at rear, long blacktop drive. Pleasant School District, Taxes are $2,245.98 per year based on homestead. 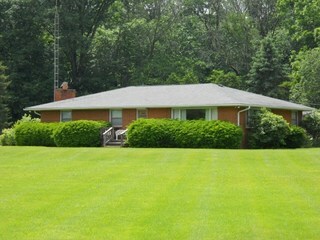 Great Opportunity to have a spacious home for everyone with lots of potential to be very nice country property! Terms: $8,000 down (non-refundable) with balance due in 45 days. Taxes prorated to closing. Sells in as-is condition. To view please call our office.